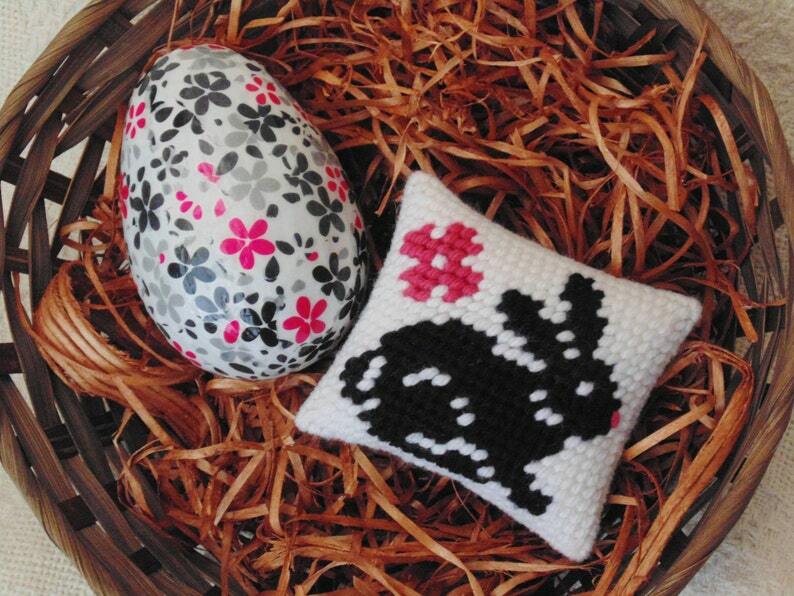 Discover this bouncy black Bunny needle art mini pillow and a floral decoupaged egg- SET!! GREAT for adding something special to a gift basket, Easter Basket, or other Holiday arrangement. Wonderful for the holiday, or for a Spring Basket, or arrange in your own personal space! Egg is large at 4 1/2 inches tall, hand decorated with floral papers, and sealed with acrylic. Bunny mini pillow is approximately, 3 3/4 inches by 3 1/4 in, hand stitched, in colorful acrylic yarns ..FRONT AND BACK.